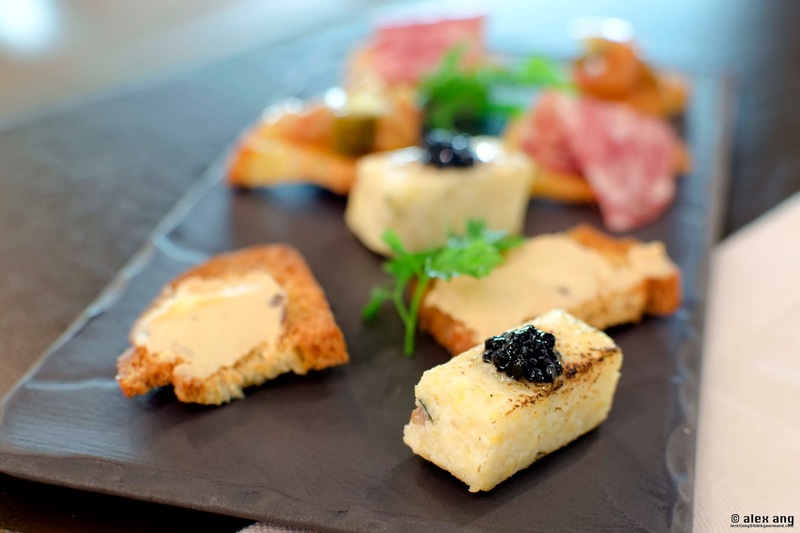 Truffle lovers rejoice at the recent opening of Truffle Gourmet Singapore (“Truffle Gourmet”). 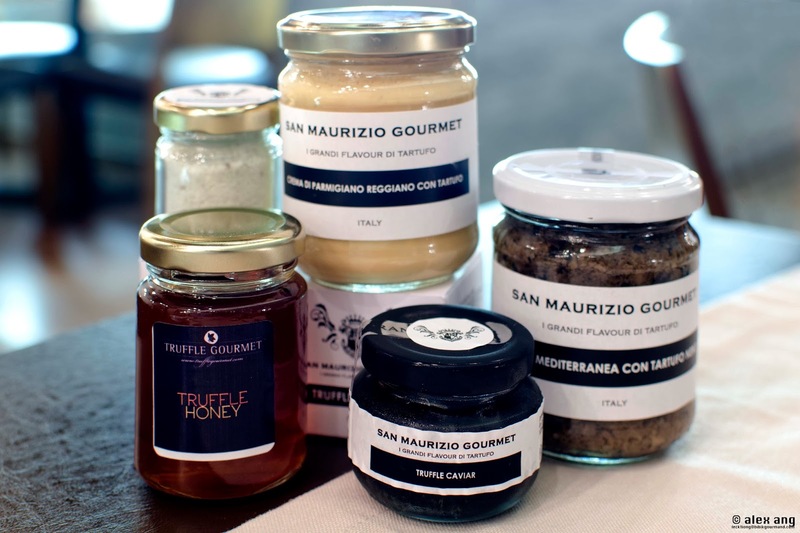 Thanks to its franchise-lineage to Relais San Maurizio, a Piedmont-based Relais Chateau hotel property that produces its own line of San Maurizio wines and an eponymous range of bottled truffle-accented products, Truffle Gourmet offers truffle-laced Italian creations year round. 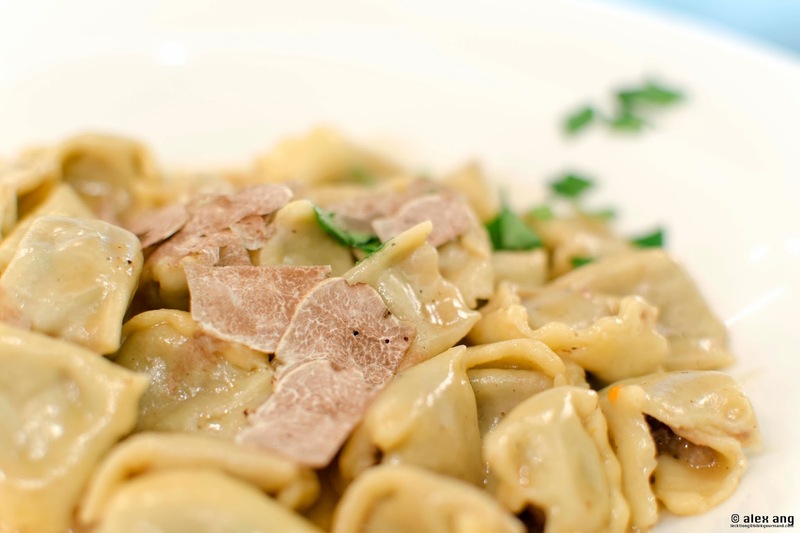 Yes, even beyond the October to December Alba white truffle season. The Italian eatery’s maiden foray into Asia – its fourth worldwide after San Maurizio, Lugano and Monte Carlo – joins recent Club Street newbies – like Wolf and Izy – and resides in a conservation shop house space opposite Noti. 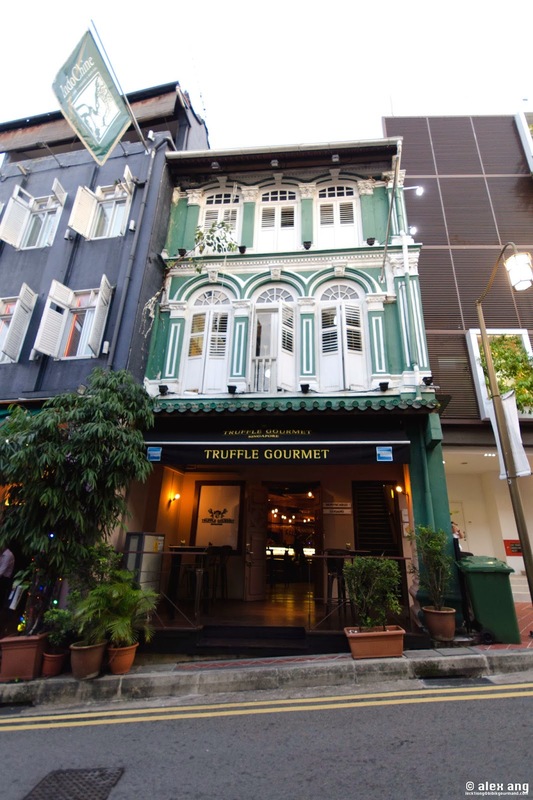 Like most of its neighbours, the space is not huge but Truffle Gourmet makes the most of its setting by distilling a 30-seat lounge by the entrance that leads into a 50-seat dining room (including an 8-seat semi-private room). Tucked at the eatery’s rear is a semi-open kitchen where Italian gastronomy-trained Japanese chef, Takashi Okuno, plies his craft. Judging by the vivid display of those little jars of exquisite fungi-laced gourmet items dotted throughout the aluminum-topped bar counter and semi-open kitchen, Truffle Gourmet makes no secret of its intention to retail its San Maurizio Gourmet line of edible treasures to truffle-hooked diners – think truffle caviar, Parmigiano Reggiano Cream with truffle and Mediterranean sauce with truffle. Indeed, it is all very enticing, more so when Okuno uses these ingredients liberally in his menu of modern Italian dishes. 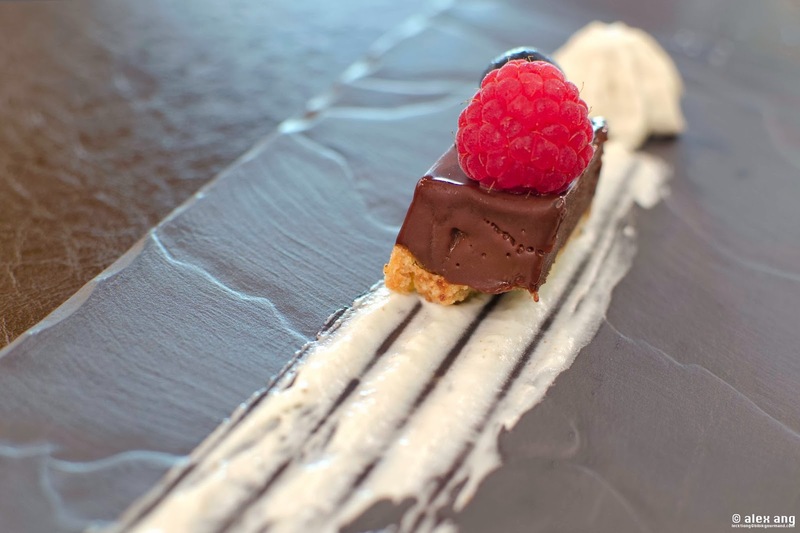 Fancy this, even the plate of canapés that arrive with your glass of Prosecco (both complimentary for dine-in guests only) feature a smidgen of Truffle Gourmet delicacies like truffle caviar (on polenta) and/or Parmigiano Reggiano Cream with truffle (on crostini). 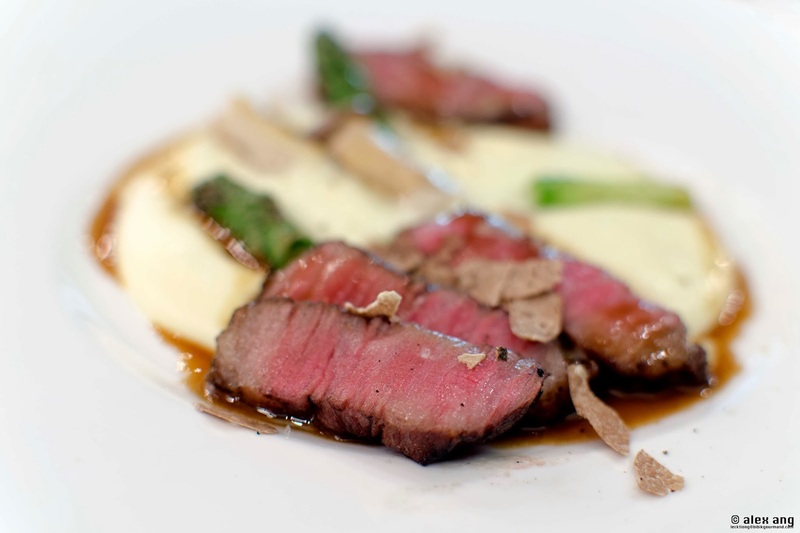 But if you trawl the a la carte menu, 70% of which dangle alluring truffle products, more rewards await. 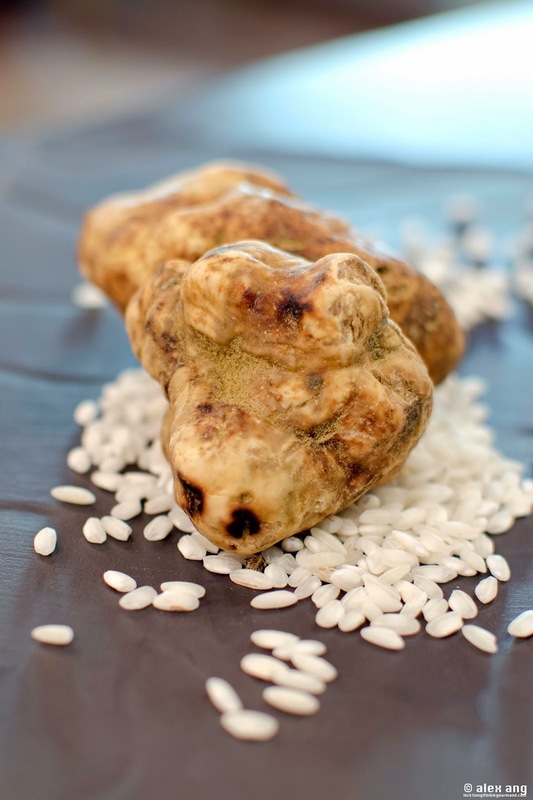 The highlight, of course, is the seasonal white truffle menu (only available from October for a limited time only) that features a clutch of Truffle Gourmet signature dishes crowned with a hint of Alba white truffle shavings (additional order available at S$15 per gram). 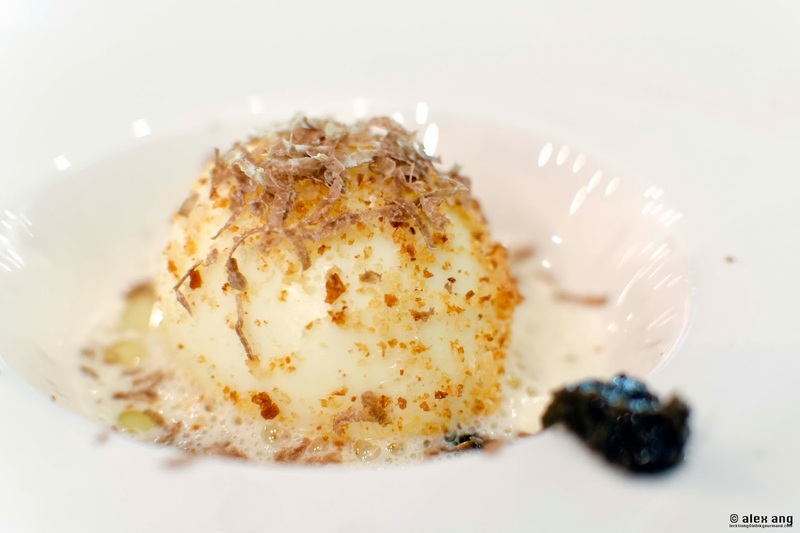 Half-cooked organic egg (S$16 on a la carte, S$30 on the white truffle menu) is breaded, fried and served in a creamy Parmesan bath perfumed with black truffle cream sauce; the still-runny yolk melds beautifully into the embrace of its lush and earthy bedfellows. 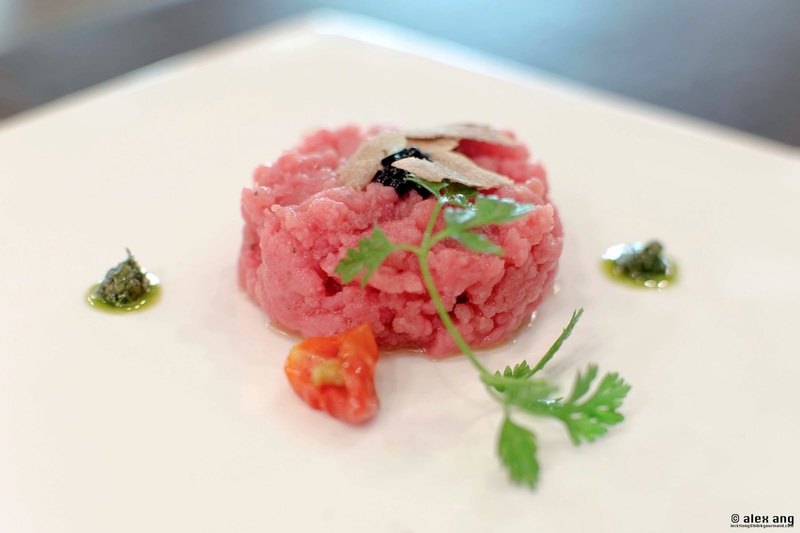 A disc of hand-chopped veal tartare (S$26 on the a la carte, $40 on the white truffle menu) arrives unadorned save for the crowning glory of truffle caviar pearls. Simple? Yes and delightfully sublime. For pastas, have the ‘non-truffle’ stamped spaghetti with seafood and prawn sauce reduction if you must but we reckon the homemade beef-stuffed ravioli (S$28 on the a la carte menu, S$42 on the white truffle menu) served in its own jus with measured doses of truffle oil, black truffle cream and, during the white truffle season, Alba white truffle shavings, will win the adoration of foodies. At the moment, the menu features a limited selection of mains – fish, Iberian pork and beef. Yes the choices will not raise any eyebrows but don’t let that put you off, it’ll be a shame to leave without trying the juicy char-grilled beef (S$40 on a la carte menu without truffles, S$56 on white truffle menu with truffle shavings) dressed with Italian balsamic vinegar and served alongside grilled mushrooms and asparagus. There’s never too much of a good thing and, on that note, the Italian chocolate cake with truffle whipping cream (S$12) – the only truffled dessert on the menu – beckons.